Executive or exeutive? Because or becose? Correct spelling is a very common problem when it comes to writing. Fear no more from making spelling mistakes. With the WhiteSmoke spelling tool, your text will be automatically checked for spelling mistakes and will provide you with suggestions for the correct spelling. Based on natural language processing (NLP), Whitesmoke spelling too will ensure that your text has no spelling mistakes by suggesting corrections even to contextual spelling mistakes. Contextual spelling are going to be corrected according to the context of your text. Thesaurus - WhiteSmoke Thesaurus is in charge of providing the correct synonyms to the words you chose to write based on their content. User Friendly - WhiteSmoke Spelling Tool is an easy to use tool, which works on any application. Try our online spelling tool for free today, and assess the quality for yourself. WhiteSmoke Spelling Tool includes an enrichment software which will make your text look more professional by choosing the correct style and vocabulary to your context. 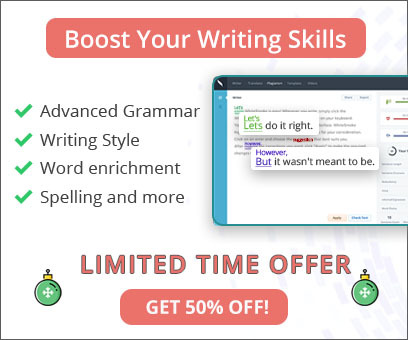 In addition, the spelling tool includes a punctuation software, which will solve all your punctuation problems.